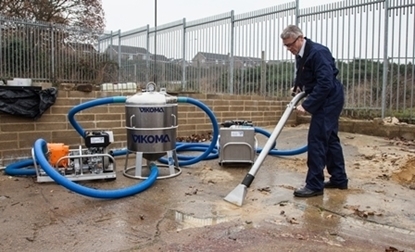 The Vikoma Decontamination Tank is compact, lightweight, portable, self-erecting, and comes with a protective cover for storage which allows it to be used for a variety of tasks. 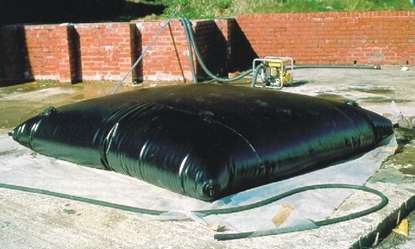 The Pillow tank is portable, easy to transport and may be used under any climatic conditions for storing a range of oils from diesel to heavy viscous oils. 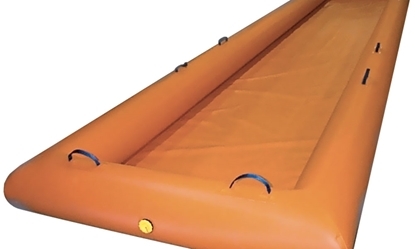 It requires no assembly tool or support structure, and is stable even in high winds. 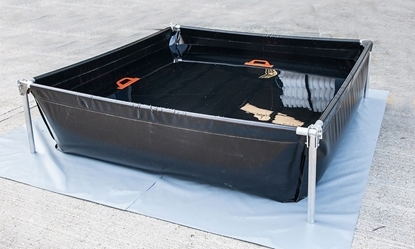 The Vikoma Roll Over Tank is manufactured from a neoprene coated fabric which exhibits an anti-static characteristic; a property that materials such as polyurethane and polyvinyl chloride (PVC) usually do not. 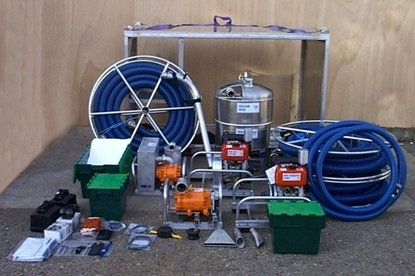 The Roll Over Tank has inflation/deflation valves at each end and lifting handles to allow the inflated tank to be manoeuvred into position. 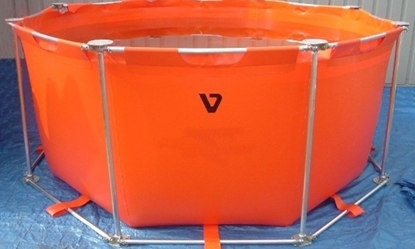 The tank can be secured down using the webbing straps.